Khalid bin Abdul Rahman al Husainanan, from an As Sahab video. A Kuwaiti who was a prominent member of al Qaeda’s religious committee is thought to have been killed in a recent US drone strike in Pakistan’s tribal areas. Two “contemporaries” of Khalid bin Abdul Rahman al Husainan, who is also known as a Abu Zeid al Kuwaiti, said he died in Afghanistan on Dec. 6, according to the SITE Intelligence Group. The two Kuwaitis, identified as Jaber al Jalahmah and Nabil Ali al ‘Awadhi, posted about Husainan’s death, but did not indicate how he died. US intelligence officials told The Long War Journal that al Husainan was killed in a recent drone strike in Pakistan’s tribal areas. The US launched a drone strike in the Mir Ali area of North Waziristan on Dec. 6, as well as two strikes in in the Wana area of South Waziristan on Nov. 29 and Dec. 1. One intelligence official said al Husainan may have been moved to Afghanistan after being wounded in a drone strike. Al Qaeda has not issued an official statement announcing Husainan’s death. Al Husainan is a former imam in the Kuwaiti Endowments Ministry who “has appeared in dozens of as Sahab videos since August 2009, some lecturing on jihad and others speaking on Islam in general,” according to the SITE Intelligence Group. Al Husainan is “presented as an al Qaeda religious scholar,” SITE stated. US intelligence officials told The Long War Journal that al Husainan was likely the successor to Abu Yahya al Libi as one of al Qaeda’s top religious scholars. 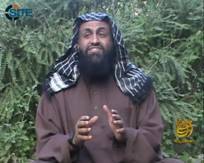 Abu Yahya al Libi was killed in a US drone strike in June of this year. On Feb. 8, the US killed Badr Mansoor, a senior Taliban and al Qaeda leader, in a strike in Miramshah’s bazaar. Mansoor ran training camps in the area and sent fighters to battle NATO and Afghan forces across the border, and linked up members of the Harkat-ul-Mujahideen with al Qaeda to fight in Afghanistan. Osama bin Laden described Mansoor as one of several commanders of al Qaeda’s “companies” operating in the tribal areas. He was later promoted to lead al Qaeda’s forces in the tribal areas. Four senior jihadist leaders, including Abu Kasha al Iraqi and Fateh al Turki, are reported to have been killed in drone strikes in North Waziristan since the beginning of August, although their deaths have not been confirmed. Badruddin Haqqani, a top leader in the al Qaeda-linked Haqqani Network, is thought to have been killed in a drone strike in North Waziristan. Afghan Taliban spokesman Zabihullah Mujahid and a Haqqani Network spokesman denied reports that claimed Badruddin was killed, and said he “is in the country and he is occupied with his operational responsibilities.” Afghan, Pakistani, and US intelligence officials have said that Badruddin is dead.